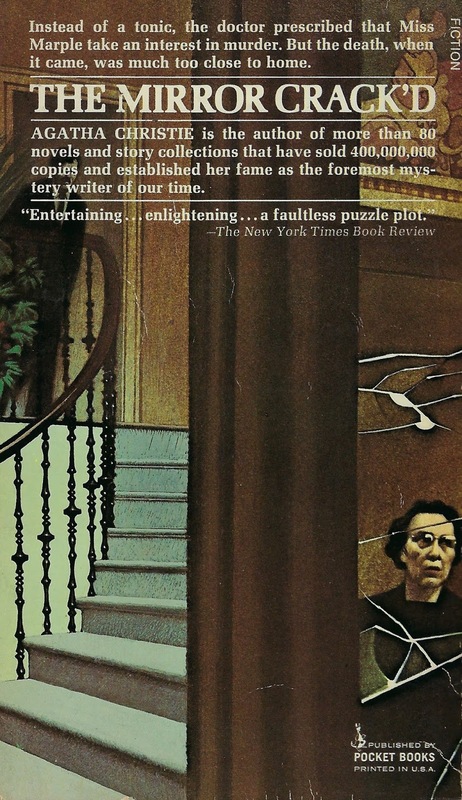 This is a Miss Marple mystery and I always enjoy a visit with that elderly sleuth. This time Miss Marple is really feeling her age, which made me sad. But her wits are just as sharp as ever and I liked the picture of the changing times in St. Mary's Mead, with a new housing development and more modern shops. This is the 8th book in the series and it ties back to the 2nd book, The Body in the Library (reviewed here). That book featured Gossington Hall, the property of Colonel Arthur Bantry and his wife Dolly. In this book, Dolly has sold her home to a famous actress, Marina Gregg, and her husband, a film director. A fête is held on the grounds of their new estate, and a local woman, Heather Badcock, dies after being invited in to meet the new owners. This novel has a very ingenious plot. Even though I had an inkling of what had happened early on, I wasn't sure until the end. Christie always keeps me guessing, and that is one of the things I love about her books. And the characters. 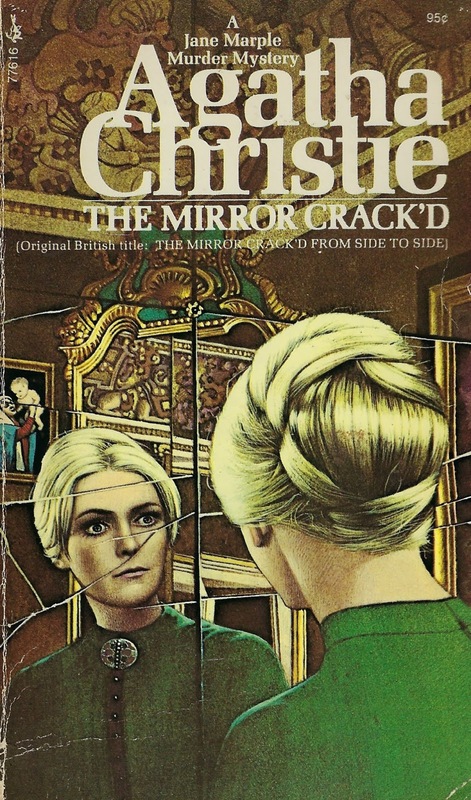 There are so many good characters in this book: Cherry Baker, Miss Marple's house cleaner; Dr. Haydock, Miss Marple's physician; Dermot Craddock, an inspector from Scotland Yard. And more. 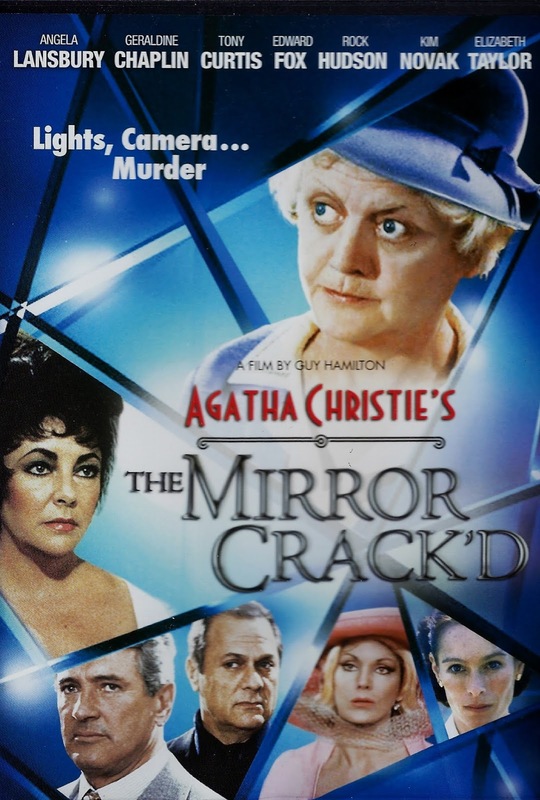 Even though it saddened me to see Miss Marple somewhat physically challenged and having to put up with her overbearing, annoying caregiver, Miss Knight, the depiction of the amateur sleuth dealing with aging and the cultural changes in the neighborhood was very well done, and made for a richer story. 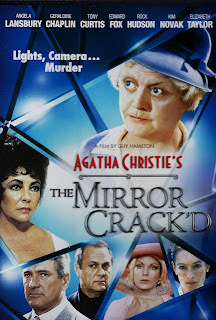 My goal has been to read the Hercule Poirot and Miss Marple series in order whenever possible, but this is another one where I skipped ahead so I could watch the film version from 1980, starring Angela Lansbury as Miss Marple. The film also starred Elizabeth Taylor as Marina and Rock Hudson as her director husband. I thought they were perfect for the roles but most of the characters were quite a bit different from those in the book. I could not quite picture Angela Lansbury as Miss Marple, but I like her very much as an actress, and she did well enough in the role. The story was changed enough to disappoint me a bit, but I am sure I will be watching the film again. Publisher: Pocket Books, 1964. Orig. pub. 1962. Source: Purchased at the Planned Parenthood Book Sale, 2017. I'm a big fan of Miss Marple, but I'll admit that is not one of my favorites of hers. I like it, but don't love it. I know that I'm influenced by the movie somewhat. Yes, I saw the movie first and then read the book. I love Angela Lansbury, but she did not at all fit my picture of Miss Marple (and she smokes in one scene - really?!?). Ha! I did love the pairing of Elizabeth Taylor and Rock Hudson - they always looked so well together. Glad you skipped ahead and I was reminded of this one. The solution is pretty interesting. That is funny about Miss Marple smoking in the film, Kay, I don't even remember that. I was bothered by the changes from the book, and usually I try to stay open minded about that. I think it is a fine movie if I pretend it isn't a Miss Marple story. Not as big a fan of this one since I discovered that Christie based a large proportion of the plot on the tragedy of Gene Tierney. Given Tierney was still alive when the book was published, I'm astonished there wasn't a lawsuit. Thanks for the comment, Puzzle Doctor. I did not know until recently that it was based so closely on a real event, and I was a bit bothered by that also. Yes, now I get to go back and read the two in between: A Pocket Full of Rye and 4.50 from Paddington (aka What Mrs McGillicuddy Saw). I have especially been looking forward to that last one. Though not my favorite Marple, this is a good one. It seems you enjoyed it. For a film version, I think the best, by far, and more accurate to the book, is with Joan Hickson. I did like it, Rick. 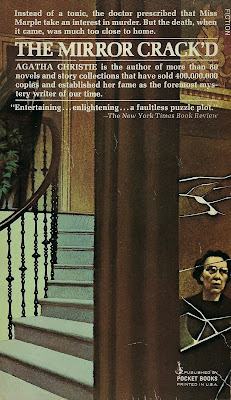 Of the 6 Miss Marple books I have read, my two favorites are The Murder at the Vicarage and The Moving Finger (although Miss Marple was hardly in that one). I agree about the adaptations featuring Joan Hickson. I have only watched one of those but it was a much better version of Miss Marple. I need to get back to Christie, Tracy! Both Poirot and Marple. You've revived my appetite for her mysteries. Christie's books are always good reading, Mathew. At least for me. I read a lot of them when I was younger, then I wasted many years not reading them because I thought they were too "cozy." I am glad I got back to them because they entertain me without fail, some more than others of course. Maybe I'll get to a Christie this year. I want you to do that, Col, so I can see what you think. Of course she wrote so many over the years, that there is variability in the output. 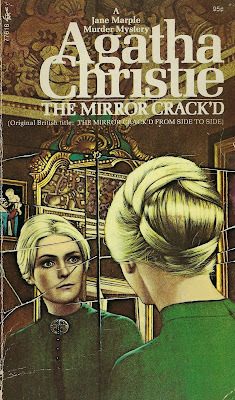 Tracy, I have probably read just one Marple mystery and it's time to pick up Christie where I left off three years ago. I loved your book cover. It is a nice book cover, Prashant. Yes, I think you would enjoy reading more Miss Marple stories. I think this is a good one - I have read it several times and always enjoy it. Glad you liked it. I don't have the same ethical problems with it that others have. It has been 4 months and 37 books since I have read a book by Christie, Moira, and I am getting antsy to read another one. Next one will be Evil Under the Sun, another one I want to read so I can watch the film with Peter Ustinov.